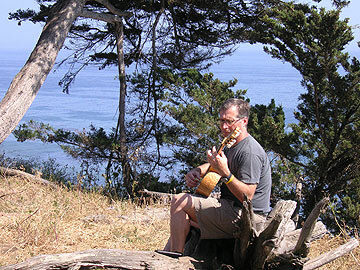 Mike Sorenson has been interested in all forms of music from an early age. He started playing guitar in 1978. His focus has been classical guitar in the Spanish romantic style as well as some of the modern styles of today. Mike earned a degree in Computer Science Engineering and worked in that field for fourteen years. He is currently pursuing a degree in classical guitar at the University of Arkansas and works at the Suzuki Music School . He has performed at the Stella Boyles Concert Hall, art galleries, coffee houses, dinner parties, and yoga sessions. From a performing aspect, he enjoys playing where he can enhance a social activity.